Gamers in UK now have a little more incentive to order Starlink: Battle For Atlas directly from Nintendo. 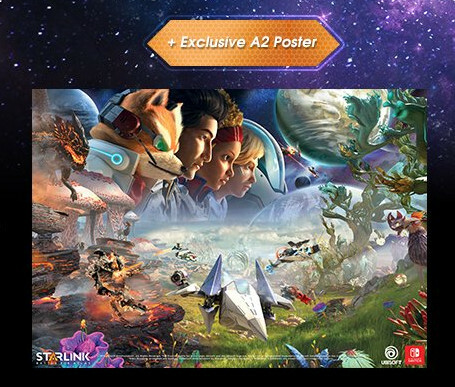 According to a Twitter post, the Nintendo version of Starlink will come with a massive A2 poster when ordered from Nintendo Store UK. The poster appears to depict a full version of the game’s cover art in UK. The game, packed with exclusive Star Fox content on Nintendo Switch, will be releasing on 16th October 2018. Those interested can purchase the game with the poster here.